At the Red Cross we know how busy you are. That's why we've developed first aid classes in New Jersey that are easy to fit into your schedule. Training takes just a few short hours and can be completed online, in person or in a blended format that combines online coursework with an in-person skills session. This way, you can learn first aid when and where it suits you best, and provide care when it's needed most. Created specifically for those who learn best in a traditional classroom setting, our in-person first aid training in New Jersey gives you the opportunity to learn from knowledgeable instructors who can answer your questions and help you understand how and when to provide care. Courses include lecture and hands-on skills sessions, as well as plenty of time to ask questions and become comfortable with the techniques before testing for your certificate. Simulation Learning courses combine self-paced, interactive learning with in-person skill sessions. This way, you can complete all of your required coursework on your schedule, then demonstrate your skills to a certified instructor during one of the New Jersey first aid training classes near you. Once both segments of the class have been successfully completed, you'll receive full certification that's valid for two years. In New Jersey, our first aid training classes deliver the best practices for providing care to children and adults in need. From helping during an accident or injury where cuts, broken bones, and bruises may occur, to delivering care to unconscious individuals, our courses can help you learn to provide the best possible care until medical professionals arrive. Once you complete your New Jersey first aid certification classes, your credentials will be valid for two years. In order to maintain your certification beyond the two-year period, we offer abbreviated first aid renewal classes that allow you to stay up to date on the latest techniques. These classes should be taken within 30 days of your certification's expiration date, and will extend the life of your credentials by two additional years. 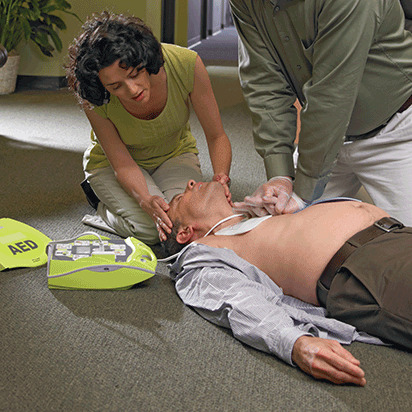 At the American Red Cross all of our courses, including our first aid classes in New Jersey, are developed under the guidance of, and reviewed by, the Red Cross Scientific Advisory Council. Comprised of more than 50 nationally-recognized medical, scientific, and academic experts, the council works to ensure that all of our courses are built around the best science and best practices available.